The Verona F.D. received our new 2016 Pierce Rescue Pumper from Churchville Fire Eqpt. on Wednesday, February 1st, 2017. 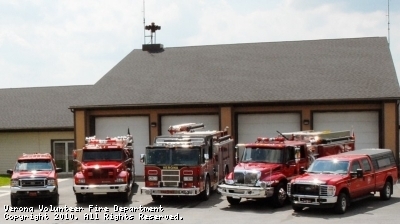 The engine is at Verona F. D. Station #1 & is now in service for calls. This site has been viewed 210,728 times.